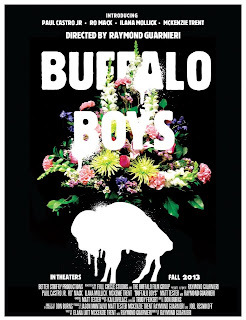 Award winning feature film BUFFALO BOYS launches its Midwest Premiere at the 2013 Indie Gathering Film Festival on Saturday August 17th, 1:20pm at the Clarion Inn Conference Center in Hudson, OH. Buffalo Boys is an unforgiving tale of morality and consequence, and shares a truthful look at a hidden world of suburban youth. Inspired by a true story, BUFFALO BOYS follows the life of IAN, a 15 year-old living in Buffalo, NY. After discovering the man who raised him is not his biological father, Ian's world is turned upside down as he heads down a path of self-destruction and murder.